DISCONTINUED. 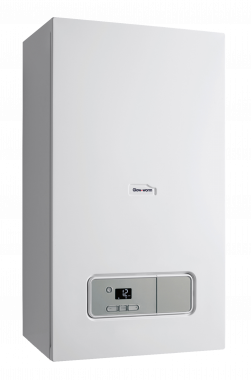 Glow-worm’s Ultimate2 Combi gas boiler is a highly efficient condensing wall mounted unit. As a Combi gas boiler, it is supplied hot water and heating on demand, this is done by using the mains water supply. This means you don't need to have bulky tanks or cylinders - making them perfect for smaller homes where space may be limited! This boiler is a highly reliable unit which has an efficiency rating of 89.2%, making it B rated. This particular model has an output rating of 35kW making it perfect for the smaller homes which do not have a high demand for hot water or heating. This boiler has a high quality automotive grade aluminium heat exchanger which helps to provide excellent performance. There is a wide range of flues and accessories available. The 5 year warranty on parts and labour will give you peace of mind that you have purchased a highly reliable unit.